Today I received notice that I have been selected to participate in Mill Street Loft first national juried exhibition called “Our Towns”. It is focusing on the towns and cities of the Hudson Valley region. The exhibition is scheduled from Saturday, May 21st to Friday, July 15th in Mill Street Loft’s Gallery 45 located at 45 Pershing Avenue in Poughkeepsie, NY. 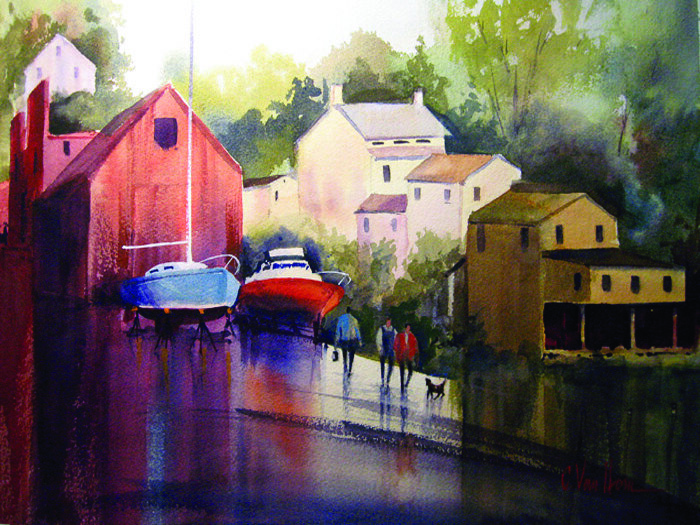 The painting you see above, “Coeyman’s Landing” was one of two selected. The other is called “Beacon Hill Cafe.